Italian coastal village oil painting. 'Portofino Surreal'. Murals Art designs. Murals painted for your home, business by New Zealand Mural artist . KING & MCGAW are a bit fussy about their prints and hope that you are too. 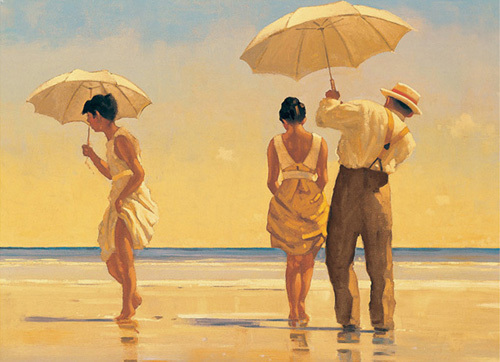 For a whole lot more options on this print and help to satisfy your art print needs..
Art print by Jack Vettriano. 'Mad Dogs' posters and prints. OR.. Instead of a rubbishy old print.. maybe you would prefer an original hand painted copy of this work made by the famous artist Daryl Lex Price (me, contact top of page) I will paint it for you, no obligation to buy the painting copy if you do not like it! Born in Fife in 1951, Jack Vettriano began painting at the age of twenty one. For more than twenty years his paintings have enjoyed worldwide acclaim and he is now regarded as one the most well-loved contemporary painters of our time. Guaranteed as future classics, there is a cinematic quality to this collection of prints, hinting at narratives yet to unfold. Inspiring, romantic and timeless, add some grown-up glamour and nostalgia to your home. Expertly printed in our Sussex studios, this print is produced to exacting museum conservation standards using inks and papers developed to create a perfect reproduction. Click here for more buyer comments .. From an independent reviews website .. you will be impressed.